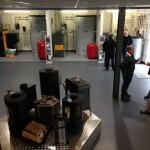 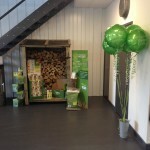 We have worked hard to create a showroom that displays all renewable options in an informative and accurate way. 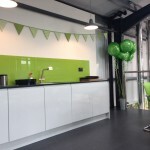 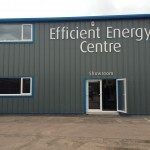 We believe we have the best renewables showroom in the Midlands and welcome anyone interested in Renewable Energy, Biomass Boilers, Solar PV, Solar Thermal, Panasonic Air Source Heat Pumps and Wood Burning Stoves to come in and see us. 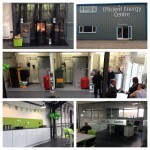 We have live installations of all of our technologies, the biomass boiler rooms are built to accurately show you what an installation would require and can advise you and provide you with information to take away on all technologies and relevant grants and payment schemes. 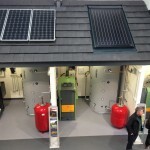 Why not call in and see our live Optimmersion system, which uses the excess electricity our Solar Panels are creating to heat our hot water. 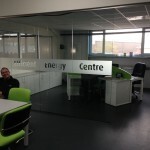 These can be installed as part of a new Solar PV system or retrofitted to an existing system!! 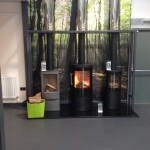 We even have a fuel display to help our customers start life with a wood burner on the right foot and make the most of their stove. 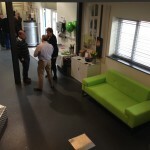 Our showroom is designed as an educational tool for our customers to help us make sure that you really understand the technologies we are offering and we hope you all enjoy making use of it.